What is a drilled ball? A drill ball in its most rudimentary form is a simple steel ball with a hole drilled part of way, or all the way through it. Yet the usage of this item goes far beyond its simple design. A drill ball has many functions; for example, in the automotive industry, drill balls are used in pushrods and valves. Yet, the object isn’t limited to just these few functions. 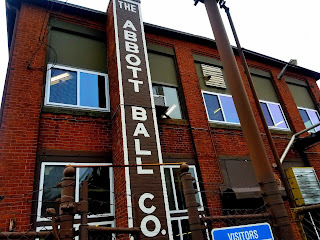 The Abbott Ball drill ball can also be found in furniture, valve applications, as well as in almost every vehicle manufactured in the United States. The usage of this item is boundless, from toys to horse bits to large decorative displays, the Abbott ball drill ball can be found almost anywhere. Fig 1. Above is an example of a regular drill ball. Generally, the preferred hole size should be half the diameter of the ball or smaller to avoid a loss of strength in the ball. Pushrods. In the automotive industry it is hard not to find at least one drill ball in a vehicle. Many of those drill balls can be found in engines and are called push rods. The primary purpose of a pushrod is to press open a cylinder or valve of an engine. Thus the term push rod. Fig1. Above is a depiction of the various different pushrods used in the automotive industry. Furniture. Drill balls are a pretty common item when it comes to steel chairs, office desks, slides etc. They can be found at the bottom of a leg or support where the foot of the item is attached to a swiveled joint. (See fig 3). Fig. 2. This a common drill ball application where the ball can be found mounted into a foot attachment at the bottom of many desks and chairs. Decorative. Drill balls can be used in a wide array of interior and exterior decorative and art applications. Fig. 3 Oftentimes a drill ball can be used as a nice garden ornament. Body Jewelry. 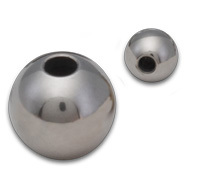 Drill balls are a widely used item in the body jewelry market. Earrings, nose rings, tongue rings, and any sort of ring possible will oftentimes contain a drilled ball as a locking mechanism. Fig 4. This is a great example of a quality piece of body jewelry with a drill ball attached to the end. This ball acts as the locking mechanism that holds the ball in place. Valves. Almost any valve you find will have a drill ball in it. The hole in the drill ball is what allows the water to pass through while the swivel joint can be used to adjust the angle of the hole. As a result, the flow of liquid can be easily adjusted. (See fig. 5). Fig. 5. 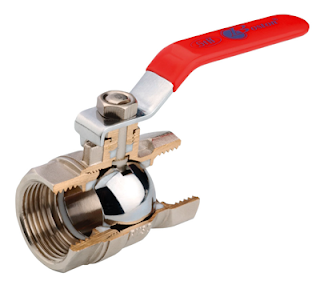 Pictured above is a standard valve ball inserted into to a common valve. One of the most important aspects of a drill ball is its chemical makeup. This will determine a range of operation that the ball must go through to meet its final desired results. The most common materials used are Aluminum, Brass, Carbon Steel, Stainless Steel, and Chrome. Chrome Steel Ball. One of the most difficult materials to drill is chrome steel. This is because the material is through hardened. Through hardened material has a tendency to wear out most drills at a much greater rate because there is no give in the material. 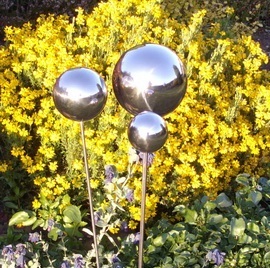 Customers will often ask for a chrome ball because of the hardened nature of the material but the drilling application can be costly, and sometimes dangerous, if not done properly. Therefore, it is suggested that the balls be annealed back to a hardness that is easier on the drill. Any local heat treater is capable of annealing any item back to the desired results. 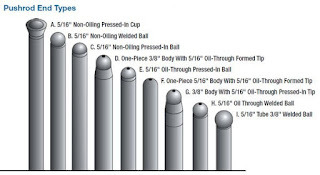 Frequently, our customers require a certain hardness on their balls, and as a result, a multiple staged process is required to anneal the ball before drilling. Afterwards, the balls can be resent to the heat treater to be re-hardened. The only issue with hardening is that sometimes it may result in the hole of the ball to close up slightly. Carbon Steel Balls. Carbon steel balls, and especially soft carbon steel balls, on the other hand, are much easier to drill. With very minimal effort a drilling operator can easily push a drill through a carbon steel ball. The downside of carbon steel is that it has minimal corrosion resistance. Stainless Steel. Stainless steel on the other hand is a very sturdy material that is much better at withstanding the elements than carbon steel or chrome steel. Therefore, the no need to maintain the material. Since stainless steel is a tougher metal it requires a much tougher drill bit. Therefore, many drill operators will opt to use a carbide drill bit to do the job. Aluminum. Aluminum is the polar opposite of chrome steel. The whole ball is soft and as a result, it can end up gumming up a drill. This effect can cause the drill to burn up much faster than a harder material like carbon. Therefore, when drilling it is important to ensure that the drill remains clean, and that it is in the correct shape, to allow for material to push out and away during the drill operation. (Thorne, 2016) (See fig Fig. 6). Fig 6. Aluminum is a very ductile material as a result the material will flake off in curls as opposed to swirls. Brass. Brass is another item used in many valve balls due to its corrosion resistance. Yet it also creates its own challenges to the drill operator. Most interestingly the material has a tendency to grab onto sharp drill bits. As a result, having a smoother drill tip works much better at drilling into brass. In order to do this, you can simply smooth out the sharp edge of the drill bit with a honing tool. (See fig 7). Fig 7. 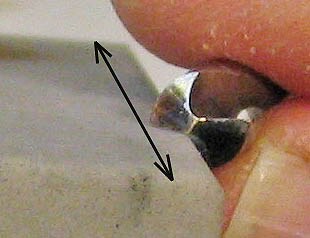 Pictured above (viewed from the end point of a drill bit) is how to smooth the edges of a drill with a honing tool this should allow the drill to safely pass through the brass without catching. (Anderson, 2016). When attempting to drill into any item it is wise to reach out to those that are most knowledgeable of the product, the operation, and the material that needs to be drilled. One of the experts in this field is Mike Brown. 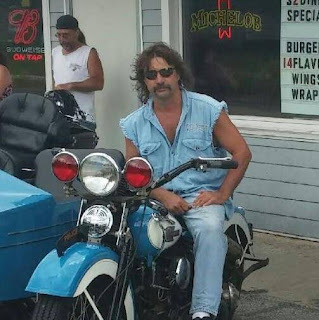 With over 20 years in the business, Mike, is probably one the most knowledgeable people in the drill ball business. The above photo featuring Mike on top of his custom bike decked out with a several Abbott made drill balls! Q: What are the processes involved in a standard drill ball operation? A: Before you start you have to ensure that there is a consistent ball size. In order for that to be possible we need the balls to be sorted for size. After that has been done we set up the machine so that the drill ball is centered with the drill. After that (depending on the metal) we set drill speed, feed (cut rate) to ensure a proper cut. At Abbott Ball we have special machines that are able to detect the drill speed. As the drill dulls the speed decreases. When it reaches a certain speed the sensor will shut off the drill until a replacement drill bit can be placed in the driller. After the ball has been drilled we inspect the ball to ensure its quality of the hole with gauges. Q: What is the most difficult part of the process? A: drilling without a burr or drills with premature breakage. Q: Why does drill life vary based on the job? A: Different materials require different types of drills and varying drill life. Materials can either be too hard or too gummy which makes drilling difficult. This can be countered though either a proper annealing or by changing the drill to accommodate the material. Q: What is the worst metal to work with? A: Every material has its pros and cons for instance, stainless steel 302 series is hard, and gummy which causes the drills to burn up faster. 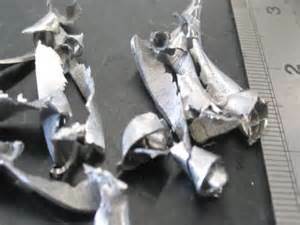 Aluminum is also gummy, which breaks drills or sometimes the balls will crush. Q: What is the coolest thing that you have drilled? A: Have drilled balls for bridges, and body jewelry. I drilled a large ornamental ball that sits on the top of the Orange County NY, Masonic temple. Q: Any claim to fame type jobs? A: It’s all a challenge. Many years ago we didn’t have sensors on our machines and high scrap rates. This continued until I installed load sensors to help reduce scrap rate. This helped the company down the line by increasing production and helped save costs. Q: What is the craziest drilling operation that you have ever tried? Was it successful? 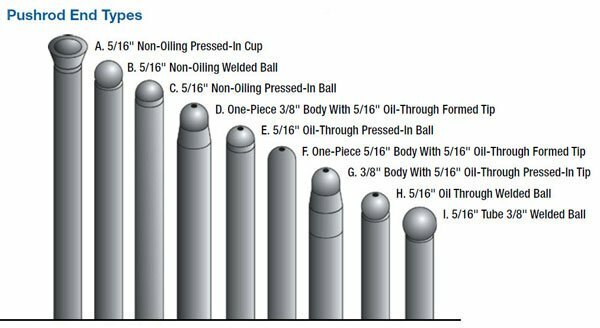 A: The step drill balls have been challenging due to several different measurements and requirements. Therefore a lot of attention and care is needed to meet the specs of the customer. Also, what increases this difficulty is that the ball will change in the heat treat and grind cycles. As a result, there are changes to the hole size and hardness of the ball. Therefore we have to predict and compensate prior to these operations so we meet spec. In the end everything ends up being successful but sometimes the job will require a-lot of brain power and trail & error to figure it out. Q: What advice do you have for customers who are interested in drill balls? A: We like a challenge. Give us a try we will do our best to meet your needs. Q: What advice do you have for someone trying to learn how to drill a ball on their own? A: Be careful and good luck! It is difficult to drill round objects. Q: What have you learned from your experience on the job? A: Every material drills differently. So there is no easy clamp & drill solution. Everything needs to be thought through, and trial & error should be done until you get the best results. Most importantly keep notes!! Don’t use a ball end mill! If the desire is to drill into a ball the correct drill bit is vital. It is suggested to never use a ball nose end mill. The shape of the ball nose doesn’t allow any clearance for the metal to work its way out of the hole. As a result the shape of the ball nose will cause the material to be pushed back into the in the hole. Furthermore, this could cause the drill bit to lock into the ball which will damage the ball, the drill, and potentially the operator. 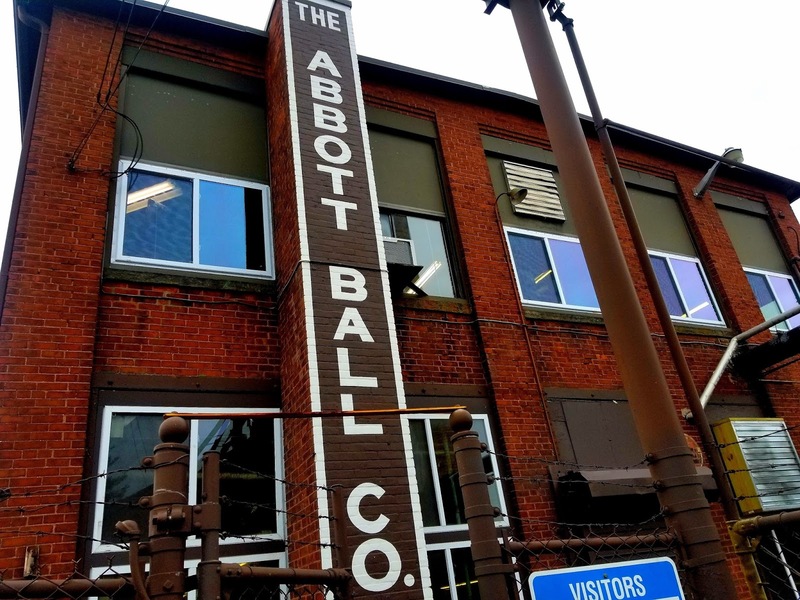 Since 1909, The goal of the Abbott Ball Company has been to exceed its customer expectations by producing high quality products, at lower than average costs. Because of this, Abbott has been the leading producer of quality balls in the United States. Today, Abbott’s automated drilling operations have resulted in exceedingly high production levels. Currently, Abbott is now capable of drilling up to five million balls per week when at maximum capacity.